Well, I received some of the Chinese tree peonies I ordered this week. I'm not sure which plants they are or which vendor they came from. None of the plants are labeled, and they all came with their roots wrapped in plastic wrap. I actually placed 7 different orders with 7 different vendors. I figured this way I was hoping to find at least a good vendor or two. I received 2 boxes from China in the mail this week, and I did in fact receive tree peony roots. 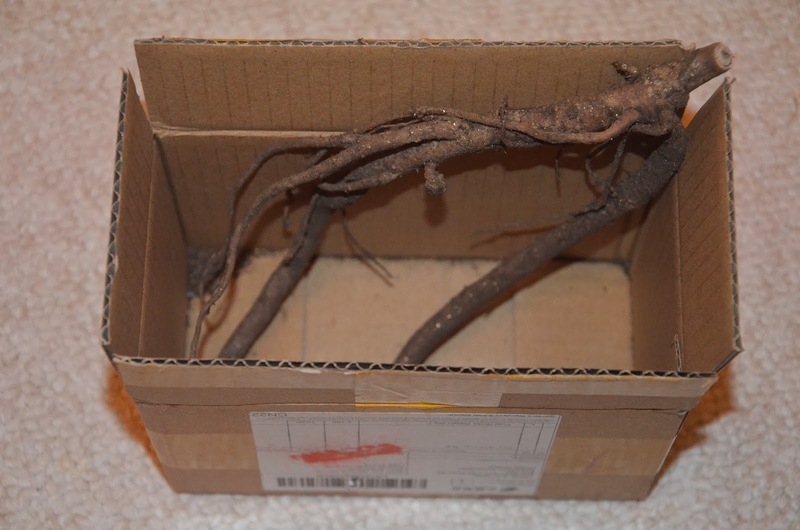 One box came with a 10 inch root in it, and most of the top stem had been trimmed away, leaving only about 1/2 inch of stem. 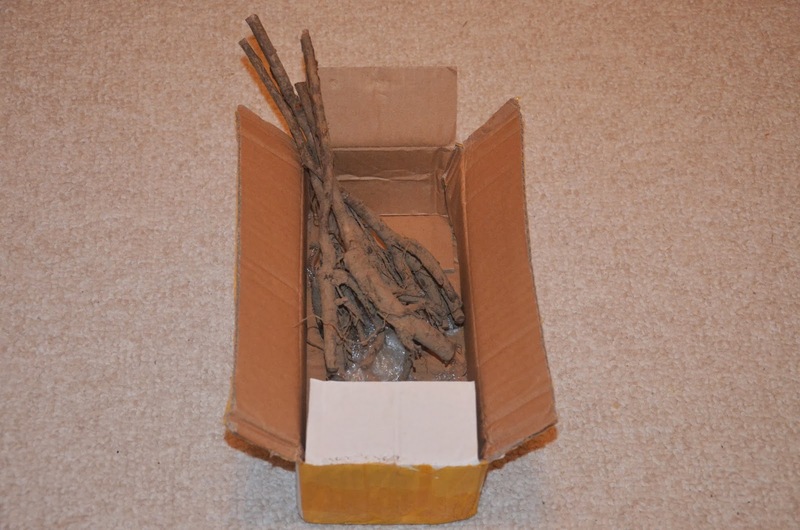 The other box came with 5 tree peonies in it with longer 6-7 inch stems, but shorter roots that had been trimmed to 3-4 inches. I'm curious to see if any of these will grow. This was not a very expensive experiment, but definitely a curious one. I plant to soak these roots all day today, and probably plant them out tomorrow. 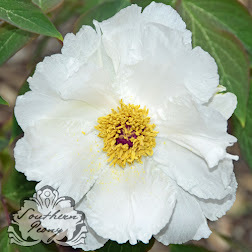 I am really curious to see if the tree peonies with longer stems or the tree peonies with longer roots are able to survive. I will definitely keep you posted on whether any of these tree peonies actually sprout in the spring! If they are dry to the point where they are fragile, I doubt there will be any life. I intend to do a massive import from China from a phytosanitary approved vendor with the minimal order on each species I want, hoping they don't require me to get like 1000 or something crazy on each species. The ones with short roots look promising! The one with long root and short stem looks like the woody stem grafted onto the root stock was cut off too short. It does not look like there are viable eyes/buds on the stems. I would be interested to find out what happens with this root. The plants with long stems and short roots look like they have been grafted too. You can see the graft junction where the woody stem meshed with the root, usually a joint of two diagonal cuts. Though these are better in that there are more woody tree part with hopefully more viable more vialble tree budsf. Wow, you've got good eyes! I'll have to look at them a little closer to see the graft junction. Plus these still had quite a bit of dust/dirt on them when they arrived. I hope that helps keep some moisture in. Now that they've soaked for a while, the dirt should be rinsed off so I can check them out a little closer. I am curious to see which ones will grow. I hope something does!!! It does seem a little bit problematic in ordering from aliexpress, but it's good that they have the buyer protection policy. I just wished that sellers would have enough sense to wrap them with a bag with moss, or something to keep them moist during the trip, and be knowledgeable in what they sell. 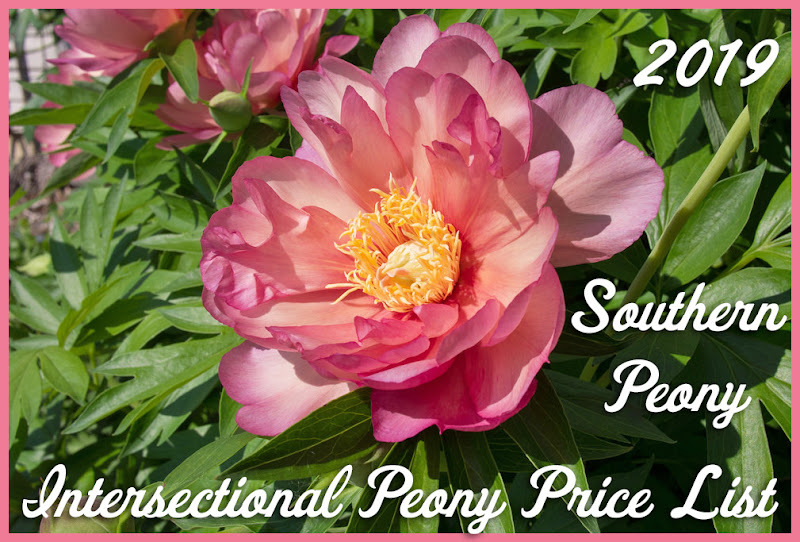 I do have lots of space to grow as many peonies as I want to. I also need to tread carefully through these vendors since they may have never shipped plants before.